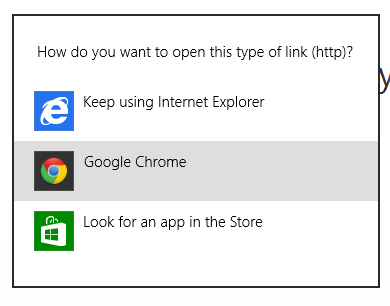 Default Browser on Windows 8 is the application that opens up automatically when you either click on a Link in any application or you open a http or other web related file. Windows 8 allows you to select a default application according to the file extension and protocols. There are lots of protocols and file extensions that Windows 8 handles and supports. Changing Default Browser is a technically associating file types and protocols with selected application. Most of the browsers when installed on Windows 8 allow you to either keep the currently configured browser, configure new browser as default browser or even look for another browser on Windows 8 Store as displayed below. The above screenshot was captured on Windows 8 after installing the Chrome Browser. All the Associations of files and protocols are stored in registry database from which Windows 8 looks up as and when needed. This post further describes how you can change the default browser configured on your Windows 8 computer. You can either configure a single or multiple browser(s) to handle all the protocols and file types related to Internet. 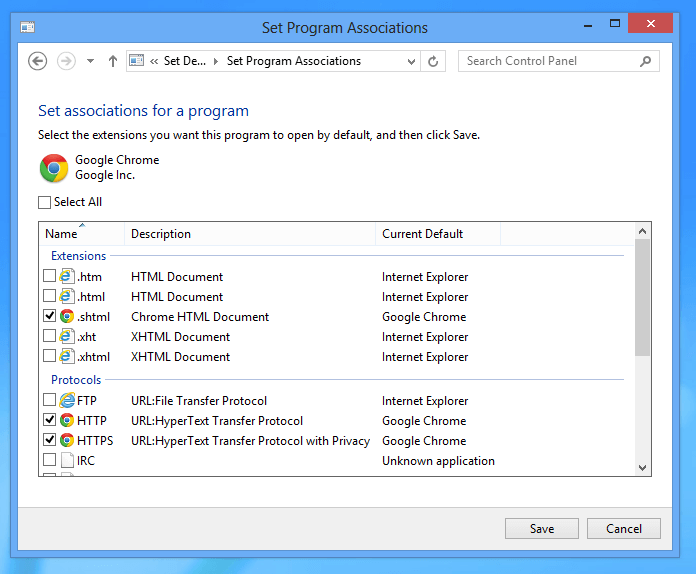 The given below screenshot displays a Windows 8 Computer on which some protocols and internet file types are associated with Internet Explorer and other with Google Chrome. All the File and Protocol Associations for Browsers and other Applications can be done using Windows 8 Control Panel. 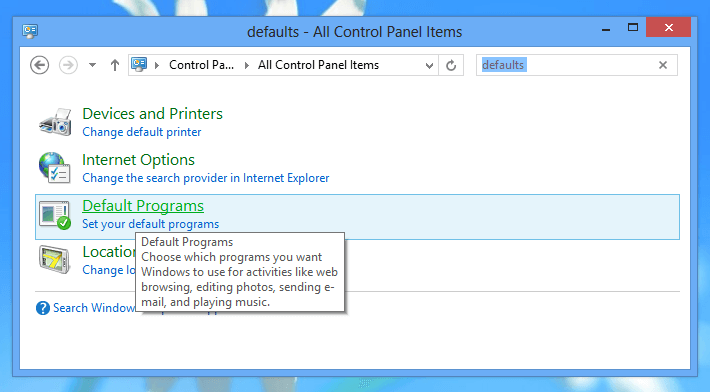 In order to change default browser on your Windows 8 computer, all you need to do is launch the Program Associations Control Panel Applet, Select the Browser from the List and make it default. The given below screenshots can be of assistance in order to change the default browser on your Windows 8 computer. The above screenshot displays how to locate the Control Panel Category of Default Programs in order to change the Default Browser. Launch Control Panel and search for the word default as displayed in the screenshot above to locate the Default Programs Category and click on the Set your default programs link as displayed above. This will open up another Window which will scan registry database and will load currently configured default programs and browsers as displayed in the screenshot below. Once you have reached the Set Default Programs Screen, locate and click on the Browser you wish to set as default from the list on the left hand side of the screen. 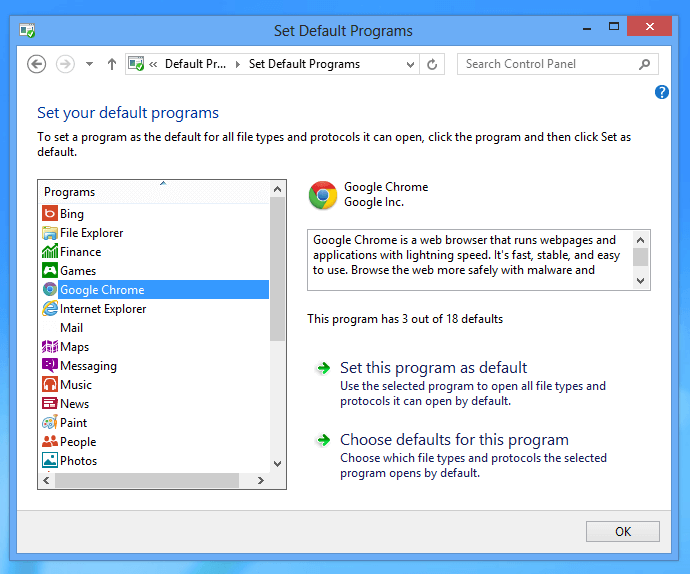 Once you have selected your new default browser, click on either of the buttons labelled Set this program as default or Choose defaults for this program. 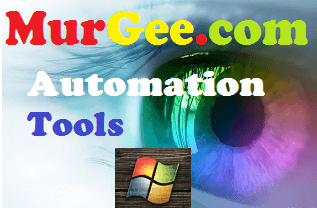 Most of the browsers do check whether they are the default browser or not, however if you have disabled the default browser check functionality, then control panel is your friend and helper to change the default browser on Windows 8.